Hiring a landscaping vendor can be one of a Homeowners Association largest costs. When choosing the best landscaping vendor for your HOA, it’s important to find a landscaping company that not only executes quality landscaping services that make your landscape more appealing but, also offers services that bring more value to your property. Before you hire a landscaping company to do the job it is important that you do some research on how to hire the best landscaping vendor for your HOA. Luckily for you, we compiled a simple and easy-to-follow list. Never should you hire a company based on random selection or on a whim. Do your due diligence and seek out referrals first, before you sign on the dotted line. Getting referrals not only prevents you from poor quality landscaping work but also provides insight on how the company works with and treats clients. You can also ask for a pre-employment background check, it offers more peace of mind and greater detail into how the company operates and does business. Do they offer curb repairs, 24-hour tree removal, or landscape lighting? Remember not all landscaping companies offer the same services. And, not all landscaping services are created equal. Hiring someone that offers more than the standard list of services adds value to your property. Consider getting a vendor that does more than the bare minimum of cutting grass and adding a few flowers here and there. Additional services like snow clearing, shoreline work, stump grinding, lawn care, irrigation, and tree care, landscape design, and installation. Don’t settle on any company. Choose a landscaping vendor that will meet your expectations for the long term, will deliver quality, and won’t cut corners. Be sure to compare the approximate amount of time for level care, what included in the rates, number of cuts, and trimming done. It’s always a great idea to go with a company that is licensed and insured. Most states require a landscape contractor to be licensed. It may seem tempting to go with the cheapest landscaper but it’s never a wise idea. Unlicensed and Uninsured Landscapers are more likely to do subpar work. If there are any property damages done on site you’ll end up eating up the costs. What Is the Clause in Termination? What are the clauses in termination of service? Will you be charged you an early cancellation fee? How much notice would you have to give to end your contract? Avoid getting ripped off with basic invoices that don’t go into detail about the services provided. When in doubt, ask for more information on what’s included in the service. Wouldn’t it be nice to have a vendor that has a team of trained staff, wears a uniform, and has an emergency plan? While it isn’t an absolute deal breaker but it does help to know if the vendor has these. Hiring an exceptional landscaping vendor isn’t something you should rush. With careful planning and research, you can find a vendor that will meet your expectations. You’ll end up saving more money in the long run. The Green Experts is a different kind of landscaping company. 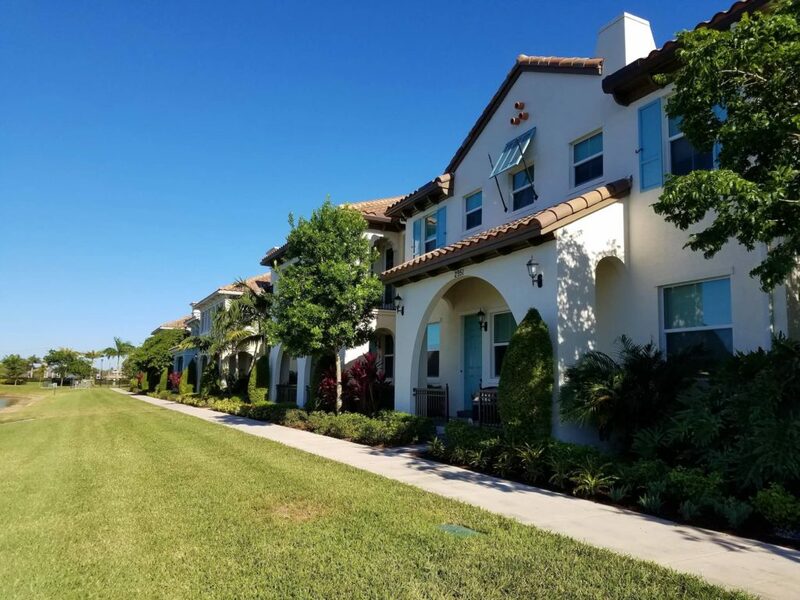 We have built a solid reputation for delivering excellence, value, and outstanding customer service for distinctive communities, condominiums, shopping centers, commercial properties and institutions throughout South Florida. We provide a complete integrated one-stop solution including lawn care, landscape maintenance, fertilization, irrigation, tree care, landscape design and installation, and landscape lighting. Your landscape will be the first thing you see and the last thing you worry about.